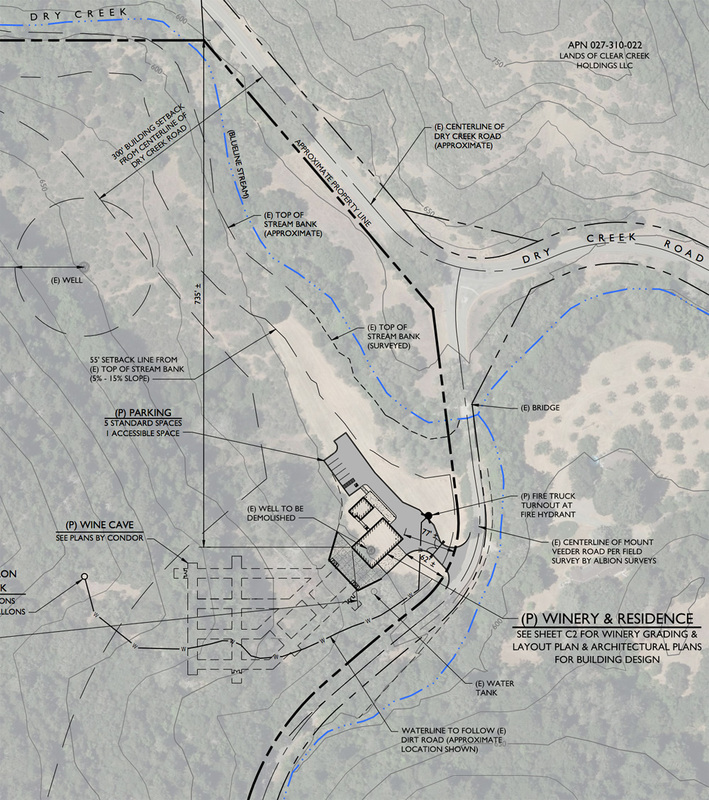 Soda Canyon Road | Dry Creek winery appeal - tipping point or same old? Dry Creek winery appeal - tipping point or same old? One of only 3 use permits (out of 137) rejected by the planning commission since 2010, this proposed winery was squeezed onto a tight site with no vines and no established sourcing, requiring setback variances, off site disposal of cave spoils, bringing tourists and grape deliveries 3.8 miles up the Oakville grade from Hwy 29 to a remote area of the watershed. It was an appropriate decision, an indication that industrial and commercial activities in the watersheds must now face increased scrutiny. It was a decision that the Supervisors should support by denying the appeal. I opposed it as a neighbor and the President of the Mt Veeder Stewardship Council and produced the letters here and here to remind the PC of what was at stake....It is a residential neighborhood in the mountains with few homes visible from the road.... we like it that way, we moved up here just for that seclusion, but the owner had other ideas for, what I felt, was a spec winery. It was not a huge fight, but rather a discussion of a shoehorn into the mountains of a winery that could not meet the 300 ft setback requirement from Mt Veeder Road. Not to mention the proximity of Dry Creek, a major spawning stream for Steelhead Trout. Joelle Gallagher, Terry Scott and Ann Cotrelle voted it down based on the square peg in the round hole argument, the inappropriate nature of the proposal on a site that had no grapes. The proposal just did not fit the site, and it was obvious. They were trying to sneak the Cave Spoils off site and pretend that the road traffic, bicyclists and Trucks (remember the 12 ton limit). so they voted it down stating that even if it came back in a revised version, that it would remain unacceptable. So we had a victory of sorts. They may appeal to the BOS but I welcome that as a time to continue our arguments to retain our neighborhoods. Vineyards, yes. Vineyards with a Winery, Maybe. Winery without a vineyard, NO. I only wish this had happened 4 years ago.